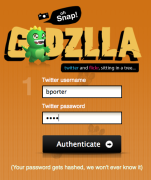 One of the sweet features of Tweetie 2 is the ability to enter your own “Image Service APT Endpoint”. 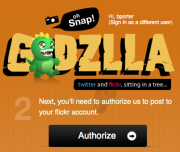 This allows you to add your own choice for where your images are posted if you’re not happy with the list provided. Here’s where GDZLLA comes in. 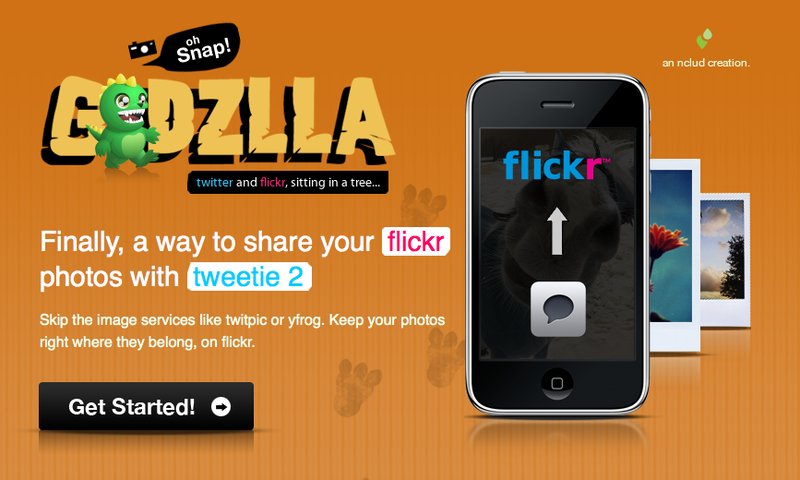 You just visit gdzl.la to setup your account and it will post your images to Flickr instead of something like Twitpic. This is awesome because now I can post my image once and not worry about uploading it to Flickr later. The only downfall is it doesn’t name the photos. You probably don’t want the whole tweet being the title. Maybe have the tweet go in the description. Right now it just names the picture “Photo” and the description “Uploaded from Tweetie 2 via GDZLLA“. Then it just needs to upload it to my Facebook account and we’d be all set. This is currently a free service.